Last Saturday I attended Vegas StrEats Festival. It has Food Trucks, Art and Music. The festival has 9 food trucks serving food and a variety of local artists and vendors set up selling merchandise. There is a stage where different musical acts perform for an hour a piece. 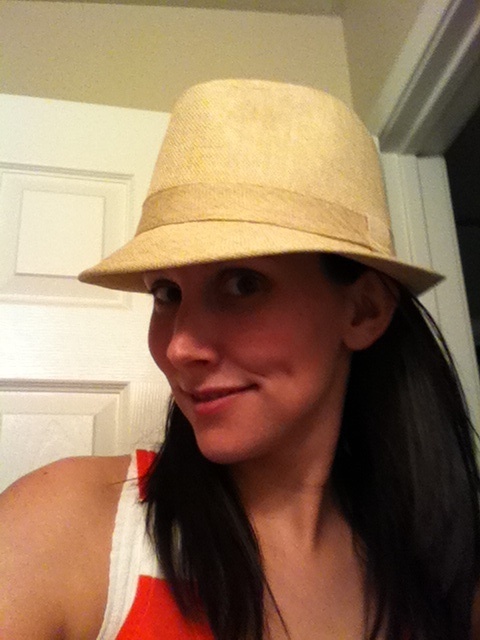 The weather in Vegas was really strange last week, and it actually rained every day for at least 5 days in a row. So of course it rained during StrEats. It kept the temperature a little bit cooler which was nice and this girl brought an umbrella to try to stay dry. I had food from 3 different trucks while I was there, but my pictures are lacking because of the weather, trying to eat, drinking a beer or two, and just not enough hands to do it all. 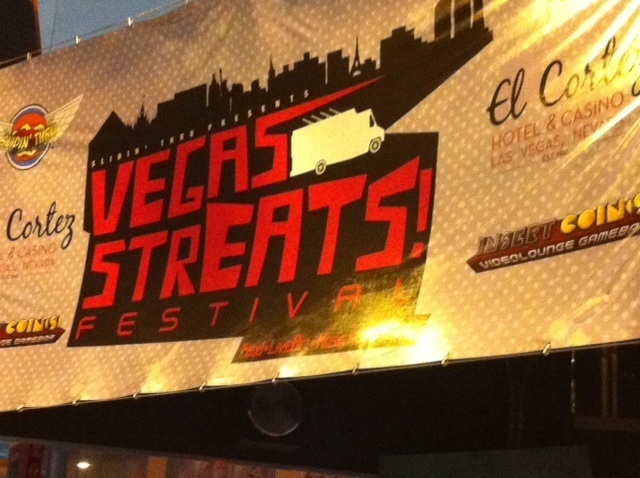 Vegas StrEats is held in downtown Las Vegas, in a lot across the street from the El Cortez Casino. Downtown has a hipster vibe to it, as long as you stay away from the casinos (lots of older folks hang out in those) and there are some fun bars on Fremont Street, just around the corner from the El Cortez. Engine 1 Pizza was our first stop. FF5 and I shared pizza and garlic fries. Both pretty good and gone quickly, we were hungry! 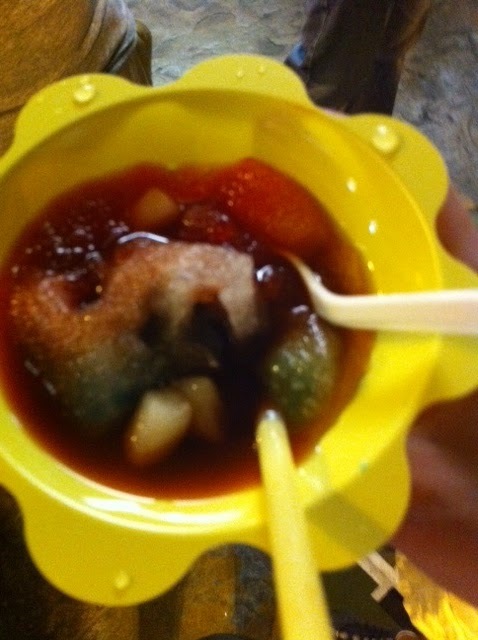 I forgot to snap a pic of my Sno Ono shave ice before I started eating, but this is towards the bottom. I tried adding mochi bits for the first time, they were DELICIOUS! I waited an hour and 30 min from line time to pick up time and it was worth EVERY minute! I love these ladies! While I waited in line for Shave Ice, Katie and Melissa waiting in line for BBQ Boy LV. He does Filipino BBQ. I’ve tried him once before and his food is amazing. His pork and shrimp shanghai rolls are sooo yummy!! I also had one of his pork skewers, also awesome! After StrEats we ventured over to a new bar on Fremont Street called Insert Coin(s). It has old school arcade games and its bottle service offers tables with a playstation console and big tvs to play video games.